Using credit cards can be a good thing when they’re not over-used, and if they’re managed wisely. However, relying on credit to maintain a beyond-your-means lifestyle or even as a way of making ends meet can be a slippery slope. Why? Because if you lose sight of how much credit you’re carrying, rack up large credit balances or pay lots in finance charges each month, you’re actually doing your finances more harm than good. Let’s take a look at five things you can do to be sure you’re managing your credit card debt wisely. Especially if you have more than two credit cards, make sure you know how many accounts you have open that you’re paying on each month, the total balance of each credit card account and the due dates and payment due each month. Simply seeing these totals may not only make you aware of how much credit card debt you’re carrying but also provide you with an incentive to pay it off. Some experts say that the smartest way to manage your monthly credit card payments is by targeting the smallest balances first. The reasoning is that by eliminating the smallest balances first, you will quickly free up more cash monthly to pay on the larger balances, which are probably costing you more in finance charges. Monthly finance charges on credit card debt usually consist of an interest rate which is multiplied against your balance. These charges may start out low but usually increase over time or when your balance reaches a certain level. Knowing which of your credit cards costs you the most in finance charges will tell you two things: 1) Which card to use least, and 2) Which card company you should negotiate with for a lower rate. Some credit card companies will lower their interest rate if you simply call and ask for – or negotiate – a lower rate. The best way to eliminate monthly finance charges is to pay cash and don’t use your credit cards. When you do use credit, however, keep the amount you spend small (less than $500 per month) and pay off the balance immediately when it comes due. Following this tip will not only stop you from drowning in credit card debt but also help to build your credit score. Your level of credit card debt and your on-time payments have a significant impact on your credit score. Your credit score is the main factor used by banks and other lending institutions to make decisions about lending for home and auto purchases. By keeping your level of credit card debt low – or even at zero – your credit score will show banks and mortgage companies that you are responsibly using your credit cards and wisely managing your debt. An excellent resource to help you manage your credit card debt is an experienced accountant like those at Donohoo Accounting Service. Schedule your credit card debt consultation with Donohoo by calling 513-528-3982 or email us today. Check us out on Facebook, Twitter and LinkedIn for our latest updates! The people who worry the most about money are … most people. Whether you have a lot, a little or you’re somewhere in between, concerns often linger about such money issues as having enough income for retirement, being able to cover emergency expenses, staying afloat following a job loss and making wise decisions about using the income and savings you have. To help ease your mind about your money concerns, the following tips will help you address some of your top financial stressors. If you’re lacking skills and experience in making good financial decisions, there is a fix for that. Online you will find a number of money management courses that can train you in how to budget, manage your money, control spending, invest and make wise financial decisions. As well, many local investment firms offer free courses in money management and investing, as do some banks and community organizations that are devoted to financial literacy. Fluctuations in business markets and in the economy overall can turn what once seemed like permanent employment into sudden job loss. When this happens, what can you do to stay afloat and sustain your lifestyle until you find a new job? Start by paying yourself first by saving 10 percent of your income – until you have six months’ worth of income saved. This is a standard rule for having money to live on in case of sudden job loss. The next important thing to plan for financially is the next emergency. An emergency expense may be suddenly needing a new car or replacing a major appliance that breaks down. Because these concerns make such a big impact on your budget, it’s important to have at least $2,000 saved at any given time to accommodate an emergency. Pay yourself first out of your current income or trim your spending as you would to save for any other important goal. Because some of your living expenses actually go down during retirement, you should plan on needing about 80 percent of your current income level to maintain your lifestyle. After considering all of your various retirement income sources such as Social Security, 401K, investments and pension, meet with a retirement planner or use an online tool to determine how much more income you’ll need. Then, make sure you’re taking advantage of retirement benefits offered by your employer (such as matching contributions), and save and invest small amounts on your own over time to meet your goal. Additionally, if credit card debt is a major concern for you in managing your money, be sure to read our blog about the Top Five Things to Know about Credit Card Debt. As well, the professionals at Donohoo Accounting Service are here to help you manage your finances. We have been helping people like you to wisely manage their finances for more than 20 years. For a free consultation, call us today at 513-528-3982. Depending on grades a great score on the ACT or SAT, your future college student could have a big scholarship in his or her future. If you – and your student – haven’t been saving for college, how can you save as much as possible before the first tuition bill arrives? Whether you have a short amount of time or a decade, these four tips will give you a start on how to save for college. A college savings goal consists not only of a dollar amount but also includes a date or deadline. The most common way to compute a college savings goal is to divide the total dollar amount needed by the number of years you have to save. Another popular goal-setting method is to multiply the student’s age by $2,000. This will give you roughly the amount you should have in savings to cover 50 percent of the student’s college expenses. Could you live on 90 percent of your household income for a period of time? Probably so. Most people could, simply by looking for ways to reduce their spending. While you budget to live on 90 percent of your take-home pay, the other 10 percent goes into an educational savings account (ESA), 529 college savings account or even an interest-bearing savings account (or some combination of these). Depending on your total household income, 10 percent a year could add up to quite a bit between now and the start of college. Even better than the 10 percent rule is the 100 percent rule – but only make it apply to income earned from part-time or summer jobs that your student works. A student earning $8 an hour working year-round in a part-time job can earn up to $8,000 during a single year. That’s a sizeable contribution toward college expenses! Parents can double that amount by offering to match dollar-for-dollar the amount their student saves each year. Collectibles, antiques and even used appliances have the potential to bring in a handsome sum when sold online or in yard sales. Put your family and relatives to work scouring their attics, basements, and garages for anything of value that can be sold to add to your college savings account. The more unused or unwanted items you can sell – even for small dollar amounts – will eventually add up to help meet college expenses. Need help developing your college savings plan? Donohoo Accounting can get you started. Contact us today to schedule your free consultation or call 513-528-3982. We’re all good at something, but not everything. And saving money is one of those things that lots of people say they’re not good at doing, But, what if saving money didn’t require lots of “doing?” What if it required only a little effort and almost no time? What if saving money could be built into your current lifestyle? If this sounds good to you, there are at least five ways to save money that require low commitment on your part, but which have the potential to yield bigger rewards than your current efforts to save money. Most people look at their income and reason that they simply don’t have enough money to pay the bills, live and save. Let’s assume that’s true, and so we’ll look somewhere else for money to save besides your paycheck. Look to the items you have stored around your house that are going unused and consider their value if you sold them. Attics, basements, garages and storage lockers are the primary places for valuable — and unused — items to end up. Selling these items online or in a yard sale affords the potential to bring in hundreds of dollars that don’t have to come out of your paycheck to go into your savings account. Another way to save money without going directly to your income source is to collect and store change when you make cash purchases. Get a large container, such as a popcorn tin. Every time you feel coins jingling in your pocket or in your purse, throw them in the tin and close the lid. Every now and then, throw a dollar bill in there or a $5 bill. When the tin is full and you count your savings, you may be surprised by how much you’ve saved! Much like saving coins, a great way to save without feeling too much of a pinch is by using a personal finance app that rounds up your online purchases to the nearest dollar, and then saves the overage to your savings account. Saving money should always include a goal, so why not make the goal – or dream – come true? Create a dream board that features photos of the item or occasion for which you’re saving. Hang your dream board in an obvious place where you’ll see it every day to remind yourself why you’re saving. Every time you look at the board, put a few dollars aside. Or,when you’re budgeting, look at the dream board to motivate yourself to sock that money away! Whichever one or more methods you choose, you must make saving money a priority if you truly have a desire and a reason to save. Look for additional ways to save,such as using coupons, delaying unnecessary purchases, paying cash instead of using credit, and all the other go-to ways of saving that your parents or grandparents used. In the long run, they’ll free up additional dollars for you to put in the popcorn tin or the savings account and they’ll help you acquire the things you have on your dream board. Need help managing your finances? Donohoo Accounting Services is a professional accounting services provider, dedicated to helping our clients overcome their financial challenges. 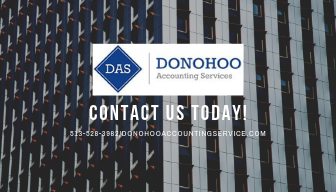 To learn more about how Donohoo Accounting Services can help, call us today at 513-528-3982 for a free consultation.